Work visa for Hong Kong? Eligibility and Requirements. Hong Kong is a beautiful country to work and live in, offering a satisfying abroad experience. Work visas are however difficult to obtain with many vacancies being filled by local immigrants and professionals. However with the right set of qualifications and proper research, one can bag the opportunity to work and settle down in this diverse country. The work permit issued to skilled foreign professionals comes under the Employment for Professionals scheme of the country. There is no limit to the number of visas, and these permits are issued to individuals based on the assessment of his qualifications and specific skills set that are not possessed by the Hong Kong local citizens. So if you are highly qualified and the country has a shortage of your specific skills getting a work visa will not be an issue. There are multiple categories under which you (or your sponsor) can apply. Most workers will fall under General Employment Policy (GEP) or Technology Talent Admission Scheme (TechTAS). 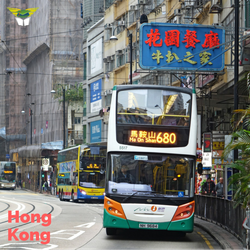 TechTAS is a fast-track arrangement to get talented workers to HKSAR (Hong Kong Special Administrative Region). Sponsoring company has to apply for a quota and then skilled professional has to submit credentials (Graduates from top 100 Universities of the world get extra preference). Documentation of a clean criminal record. Exceptional educational background with a relevant degree, excellent technical qualifications, notable achievements and experience in the chosen field of work. Research must be done to identify the job vacancies at a potential company in Hong Kong. The salary must not exceed the standards set by local professionals (minimum 20,000 Hong Kong Dollars). The company offering the employment must prove with sufficient evidence that the vacancy is being filled by a foreign employee due to unavailability of the required skills in Hong Kong. Sufficient proof confirming that the employee will contribute positively towards improving Hong Kong's economy. All documents that are not in English or Chinese must be accompanied by certified translation certificates. Completed copy of the Employment Visa application form. Mark-sheets, certificates, and other relevant documents. Application form for the employment of foreign professionals in Hong Kong. Photocopy of the employment contract that lists all the details about the employee's post, salary, benefits and employment duration. Photocopy of the company's registration with the Hong Kong government. Financial information about the company. Documents relevant to the company's work background (not applicable if the employee is being sponsored by the company). Once all the required documents have been made ready the complete application package must be submitted to the Hong Kong Immigration Department. If the visa has been approved it must be collected from the local Hong Kong consulate in-person. The work visa is valid for 1 year and may be renewed continuously as long as the employee continues to work for the company. Dependent visas must be obtained for any accompanying family members. In a case of switching to another job, the existing work visa becomes non-transferable, and the employee must obtain permission from the Immigration Department to apply for a new one. If the employee has been working and residing in Hong Kong for 7 years he becomes qualified to apply for permanent residency. There is no restriction on the number of work visas issued (no quota). Around 40,000 visas were issues in 2018 under GEP policy. As the visa processing may take around 4-8 weeks with possible further delays, applicants are encouraged to file their applications early to ensure a smooth visa journey.